The McIntire Department of Music is pleased to present the fourth annual University of Virginia Flute Forum on Sunday, April 7, 2019. The UVA Flute Forum is a day-long flute festival which features masterclasses, interactive workshops, and recitals. All events are free and open to the public. This year's Forum will feature Claire Chase, international soloist, alongside guest artists Beth Chandler, Sandra Bain Cushman, Tabatha Easley, DCFlutes, Stacey Russell, and Sarah Shin. Attendees are encouraged to bring their flutes to participate in interactive sessions throughout the day! Although all events are free and open to the public, participants are encouraged to register in advance for the UVA Flute Forum. For more information, please contact Kelly Sulick at kas6am@virginia.edu. 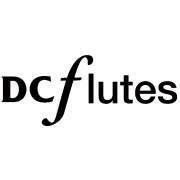 The UVA Flute Forum Collegiate Competition is a FREE competition open to any undergraduate student currently enrolled at a college or university who is taking applied flute lessons (entrants do not need to be majoring in music). Up to three winners will be selected to perform in a masterclass for Claire Chase at the fourth annual University of Virginia Flute Forum on Sunday, April 7, 2019 in Charlottesville, Virginia. Those interested in entering should submit a recording of the piece they would like to perform in the masterclass. Pieces written for flute and piano should be recorded with piano accompaniment (SmartMusic accompaniment is acceptable). Winners are responsible for bringing their own pianists to the masterclass. To enter, please submit an unedited audio recording as a file attachment (or a link to an online posting of the audio recording), to UVAFluteForum@gmail.com. Include your name, email address, telephone number, and name of your current flute instructor. Entries are due by 11:59 pm on March 1, 2019. Winners will be announced by March 15, 2019. Questions may be sent to UVAFluteForum@gmail.com. Good luck! Claire Chase is a soloist, collaborative artist, curator and advocate for new and experimental music. Over the past decade she has given the world premieres of hundreds of new works for the flute in performances throughout the Americas, Europe and Asia, and she has championed new music throughout the world by building organizations, forming alliances, pioneering commissioning initiatives and supporting educational programs that reach new audiences. She was named a MacArthur Fellow in 2012. A committed educator, Chase is active in the development and execution of ICE’s education programs for underserved youth in New York, Chicago, and Los Angeles. She is also the new co-artistic director, with her longtime collaborator Steven Schick, of the Summer Music Program at The Banff Centre for Arts and Creativity in Canada. In 2014, Chase was named an inaugural Fellow at Project&: Cultural Production with Social Impact. With Project&, she will develop several large-scale new works from 2014-2018 exploring the relationship between language, ritual and music. In 2015, Chase was music director and soloist in Salvatore Sciarrino’s Il Cerchio Tagliato dei Suoni for 104 flutes, for which the Los Angeles Times praised her as a “staggering virtuoso with the assurance of a rock star.” She will lead several performances in 2016-17 of this immersive 60-minute piece fusing contemporary performance and community engagement. Upcoming projects include solo tours in Asia, Australia and the Middle East, a residency with the St. Paul Chamber Orchestra, performances of Dai Fujikura's new flute concerto, and the release of a new double-album in collaboration with Meyer Sound Studios in early 2017. At home in New York, she will perform at the Brooklyn Academy of Music and Lincoln Center, as well as with ICE in community venues, public spaces, and elementary schools as part of the OpenICE initiative. Beth Chandler, flutist, is currently Professor of Flute at James Madison University. She enjoys an active career as a soloist, chamber musician, orchestral player, and teacher. A frequent guest artist and masterclass clinician, Dr. Chandler has performed and presented at universities and festivals throughout the United States and abroad. As a soloist, she has performed at fine venues throughout the world, including solo recitals at the John F. Kennedy Center for the Performing Arts in Washington, D.C. and the Portuguese Embassy in Rio de Janeiro, Brazil. She has won numerous awards and honors, including the top prizes at the Flute Talk Magazine Competition and the Myrna Brown Artist Competition. She has also been a prizewinner or semifinalist in the Concert Artists Guild International Competition in New York City, and in National Flute Association (NFA) Piccolo Artist, Young Artist, Orchestral Audition and Masterclass Performers Competitions. She was a Mary Louise Remy Endowed P.E.O. Scholar. As a Fulbright Scholar, Dr. Chandler studied in Kent, England, as one of six students selected internationally. Her current and former students have enjoyed successes in competitions, fellowships, and graduate programs, and hold positions in public and private music education, with arts centers and symphony orchestras nationwide, and in military ensembles and other performance contexts. Recently she was honored with the JMU College of Visual and Performing Arts Distinguished Teacher Award. She is a past president of the National Flute Association. A native Texan, Dr. Chandler received a Bachelor of Music from Baylor University, a Master of Music from New England Conservatory, and a Doctor of Musical Arts from the University of Cincinnati College-Conservatory of Music. Her principal teachers include Bradley Garner, Jack Wellbaum (piccolo), Paula Robison, Trevor Wye, and Helen Ann Shanley. Please visit www.bethchandler.com for more information. Sandra worked with Robert Fripp’s Guitar Craft &Guitar Circles of North America, South America and Europe, from 1988-1990 and from 2000 until their completion in March of 2017. Sandra lives on a mountainside in Virginia with poet and professor, Stephen Cushman. She has two grown sons, both of whom live in the West. Tabatha Easley is Associate Professor of Flute at Virginia Commonwealth University. Presenting concerts and masterclasses throughout the U.S., Colombia, Scandinavia, Australia, Malaysia, Japan, and Egypt, she has also been a soloist with the Fairbanks Symphony, Astoria Sinfonia in New York, the Cole Conservatory of Music Orchestra, Orange County Arts High School Orchestra, Virginia Commonwealth University Symphonic Wind Ensemble and Orchestra, The University of Cauca Wind Ensemble in Popayán, Colombia, as well as Orchestra “EAFIT” in Medellín, Colombia. In 2013, Ms.Easley cofounded the AarK Duo with percussionist Justin Alexander. Committed to presenting new works for flute and percussion, the Duo have commissioned and premiered new pieces by Valerie Coleman, John Griffin, and Marco Alunno. They have performed in Sweden and across the United States, and Sydney, Australia. Their first CD, Hair, Cloth and Thread released in April, 2017. Active in several professional organizations, Ms. Easley serves as the Committees Liaison for the National Flute Association after having been the Secretary/Assistant Secretary for two years, and the Collegiate Flute Choir Competition Coordinator for five years. College Music Society Conferences have taken her to Finland, Sweden, Argentina, Australia and Canada. She has also performed at the Society of Composers Inc. National Conference, the International Double Reed Society Conference in Tokyo, Japan, and the National Association of Wind and Percussion Instructors National Conference. Ms. Easley holds a doctoral degree from the Eastman School of Music; the first Alaskan to do so. She is also a contributing editor in Charles West’s 2016 publication, Woodwind Instruments: Purchasing, Maintenance, Troubleshooting and More. Former teachers include Bonita Boyd, Michael Parloff, Martha Aarons, Dr. John Barcellona, and Dorli McWayne. 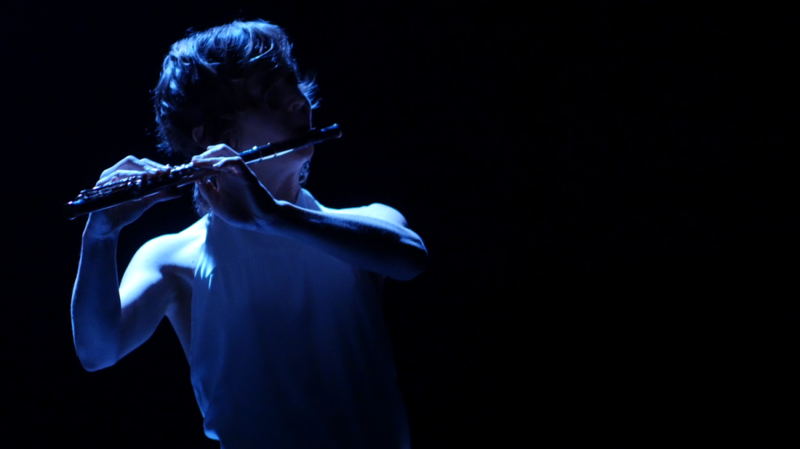 Flutist Stacey Russell has received many recognitions for her achievements as a performer, teacher, and collaborator. Stacey is the Instructor of Music at Beaufort County Community College and Adjunct Instructor of Music at Nash Community College, North Carolina Wesleyan College, and Pamlico Community College. Russell holds the Doctor of Musical Arts in flute performance from the University of South Carolina. A proponent of new music, Stacey’s research interests include the prepared flute and chamber music for young musicians. Her dissertation focuses on the prepared flute, and portions of that project can be found under the “Prepared Flute” tab of this website. A 2017 winner of the National Flute Association’s Graduate Research Competition, and the 2013 winner of the Outstanding Graduate Student award, Stacey Russell has an unparalleled passion for teaching, community engagement, and performing and researching new works for the flute. 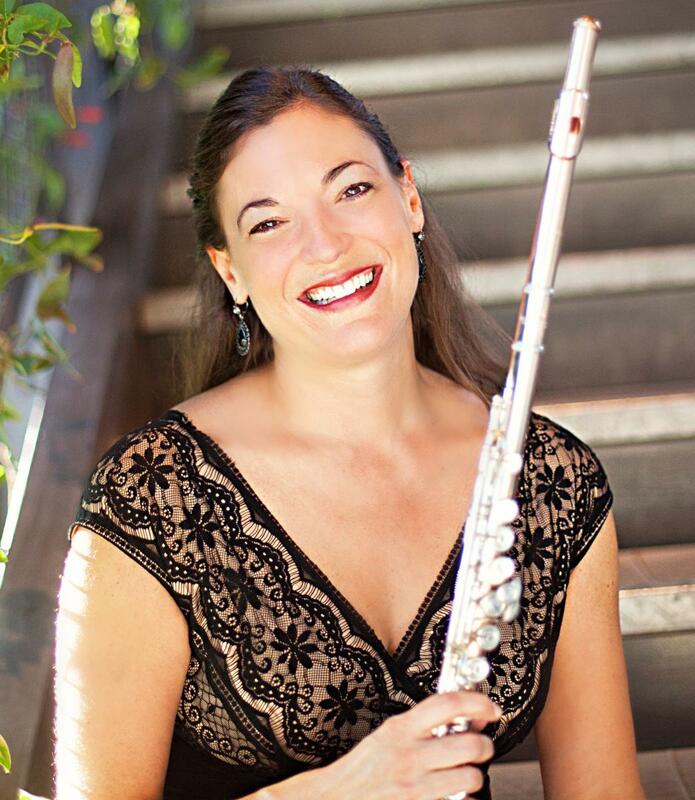 The foremost expert on the Prepared Flute, Stacey has presented at Mid-Atlantic, Mid-South, Greater Philadelphia Flute, South Carolina Flute Society, and National Flute Association Conventions. Stacey maintains a full private studio in Greenville, North Carolina. She enjoys the unique challenges of each grade level, and her students range from 5 years of age to adults. 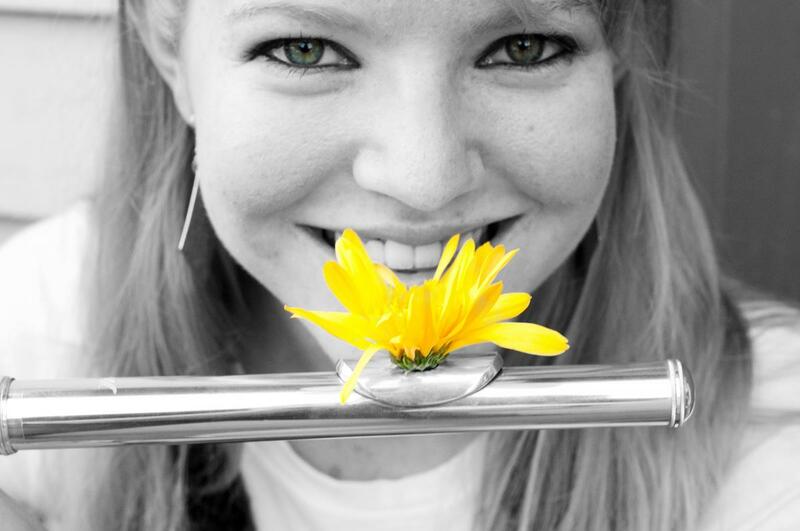 Stacey currently serves on the board of the SC Flute Society, and is a member of the Raleigh Area Flute Association. She was awarded a Teaching Assistantship while pursuing her Master’s degree in flute performance at Wright State University, and earned the Outstanding Graduate Student Award for her innovative teaching and dedication to her students. While completing her degree, she was invited to perform in the 2012 and 2013 Honors Recitals. Comfortable as a collaborative musician and soloist, recent performances have taken her to Saarburg (Germany), Iowa, Louisiana, Minnesota, Mississippi, North Carolina, Ohio, Pennsylvania, South Carolina, and Virginia. Stacey’s teachers and mentors include Dr. Jennifer Parker-Harley, Dr. Christopher Chaffee, and Lori Akins. 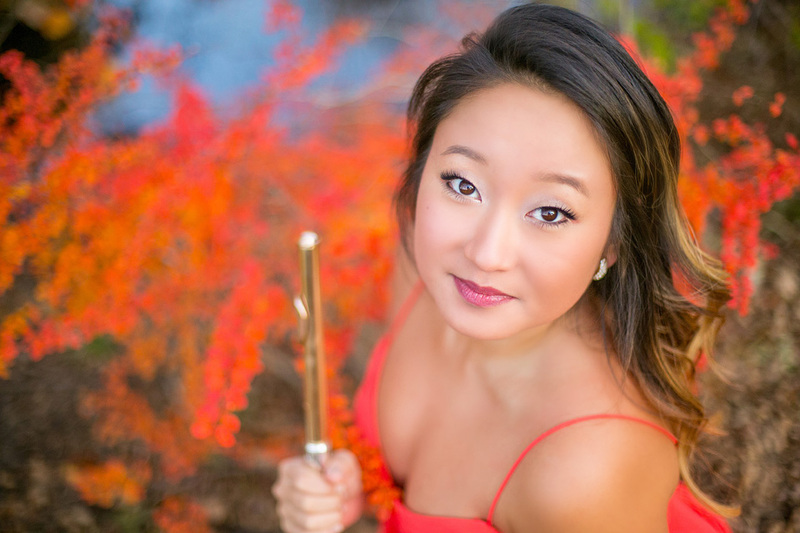 Flutist Sarah Shin is a vibrant performer, educator, and collaborator. She recently received her Doctor of Musical Arts at Rutgers University Mason Gross School of the Arts under the tutelage of Bart Feller. This year, Sarah will be performing in Carnegie’s Weill Recital Hall and performing her concerto debut in Seoul at the Lotte Concert Hall. Sarah has performed in Jordan Hall and Symphony Hall in Boston, Carnegie Hall and Alice Tully Hall in New York City, John F. Kennedy Center in Washington D.C., Gewandhaus Theatre in Leipzig Germany, and Olympus Hall in Seoul, South Korea. She has performed in festivals in France, Brazil, Mexico, and nation-wide within the United States. She has participated music festivals such as Round Top Festival Institute (TX), Brevard Music Center (NC), Colorado College Music Festival (CO), and Opera in the Ozarks (AR) as principal flute. She has also won and competed as a finalist for competitions such as Classics Alive Artists Competition, First Prize Winner of the American Protégé International Competition, First Prize of the Upper Midwest Flute Young Artist Competition, and winner of the Rutgers Honors Chamber Music Competition. A native of Iowa, Sarah made her concerto debut at age 16, playing Jacques Ibert’s Concerto for Flute and Orchestra with the Central Iowa Symphony Orchestra, where she was the winner of the Young Artist Competition. After, she moved to Boston, MA and attended Walnut Hill School of the Arts where she performed in the Boston Youth Symphony Orchestra, under conductor Frederico Cortese. As an educator, Sarah has a private studio and gives private flute lessons and masterclasses to students of all levels. 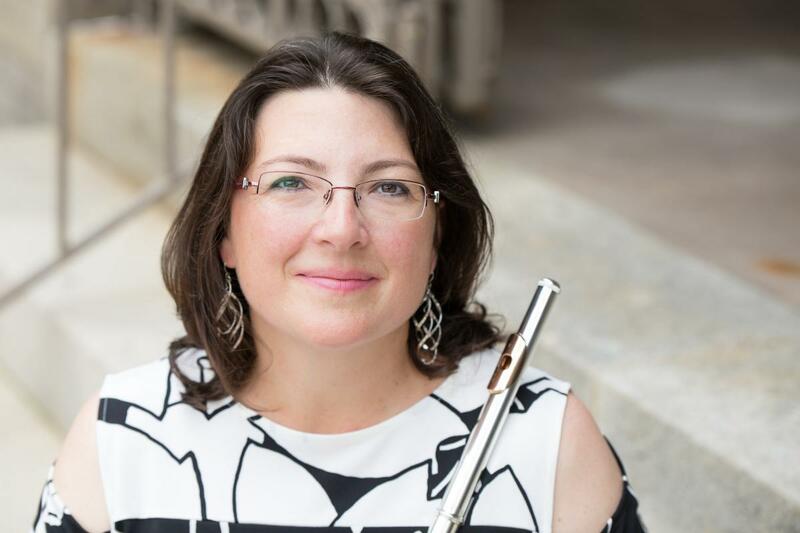 She is currently Co-President of the New Jersey Flute Society and is faculty at the Rutgers Mason Gross School of the Arts Extension Division as flute instructor and chamber music coach. She has taught masterclasses and workshops in Washington, California, Pennsylvania, Virginia, Iowa, Utah, and New Jersey. During the 2016-2017 school year, she was on the Flute Faculty at the Center for Musical Excellence in New Vernon, NJ. She also served as the Director of Admissions. Along with a substantial teaching and performing schedule, Sarah is an active chamber musician and orchestral musician. Most recently, Sarah has played with Virginia Symphony Orchestra, Virginia Opera, and Boston’s Phoenix Orchestra. She is the founding member of the Emissary Quartet (EQ), founded in 2009. In November 2016, EQ premiered a work by Annika Socolofsky, which was made possible by a grant from the Harvard University’s Fromm Music Foundation. EQ was quarterfinalists in the 2016 Fischoff Chamber Music Competition and was the only flute quartet to have competed within the last seven years. They also performed at the National Flute Association's 44th Convention in San Diego, California. EQ won multiple grants from the Friends of Flutes Foundation, Inc. to perform and teach throughout the country. Sarah received her Bachelor of Fine Arts in Flute Performance from Carnegie Mellon University School of Music, and her Master of Music in Flute Performance from Indiana University Jacobs School of Music, as a Barbara and David Jacobs Scholar. 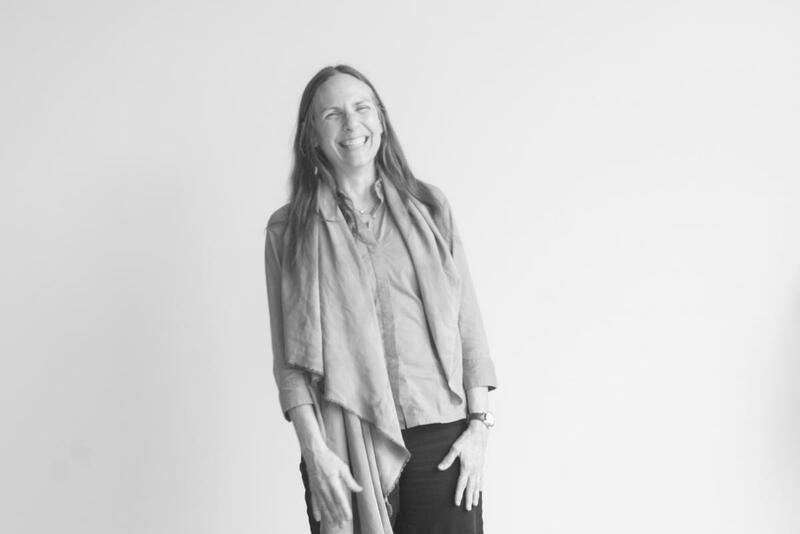 Her primary instructors include Jeanne Baxtresser, Bart Feller, Thomas Robertello, Judy Grant, and additional studies with Alberto Almarza and Marianne Gedigian.